It’s an old saying: it’s an ill wind that blows no one any good. 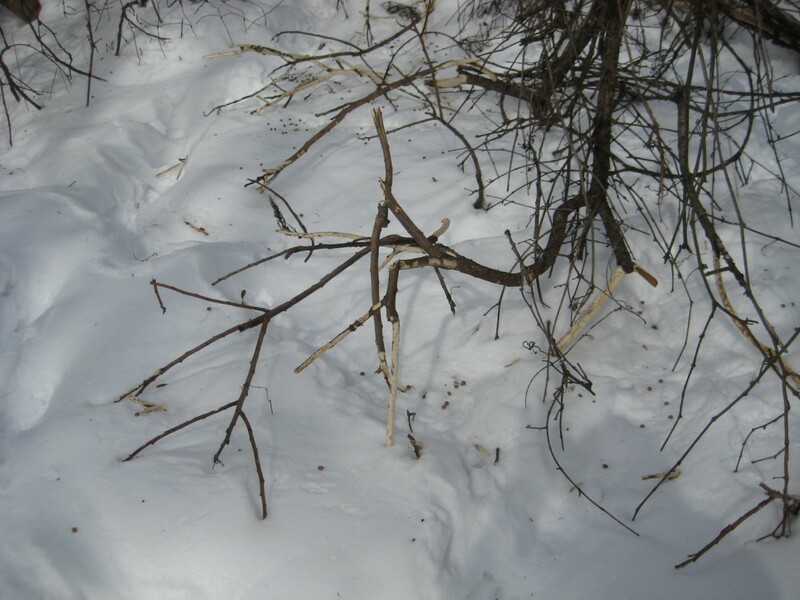 The wind and ice and snow that blew so outrageously this winter were definitely bad for this young sumac tree. The fragile wood bent and cracked under the weight of wet snow. But this turned out to be extremely good news for the rabbits. The rabbits hang out in the shrubbery and tumbledown sheds at the edge of the yard. Things have been pretty tough for them this epic winter. Not being talented at climbing trees or flying south, they’re stuck down here, like the rest of us, knee-deep in snow. Food sources, bark and twigs and buds, were quickly exhausted. 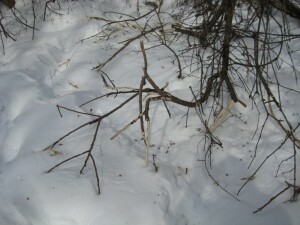 So the rabbits were ecstatic to find a whole banquet of sumac twigs suddenly within easy reach. Now it may seem as though sumac bark, brown, dry and fuzzy, isn’t a very tasty snack. The part we see, the outer bark, is just a dead skin. But the reason rabbits go wild for sumac is the inner bark. You can see a little green around the edges of the bite marks here. Imagine every branch of sumac dipped in a pot of green paint. 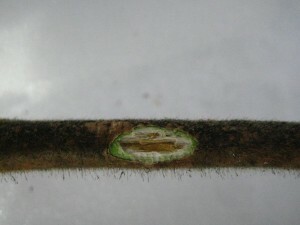 That thin green layer that covers the inner wood is the cambium, the living cells that in spring will create new bark and wood. 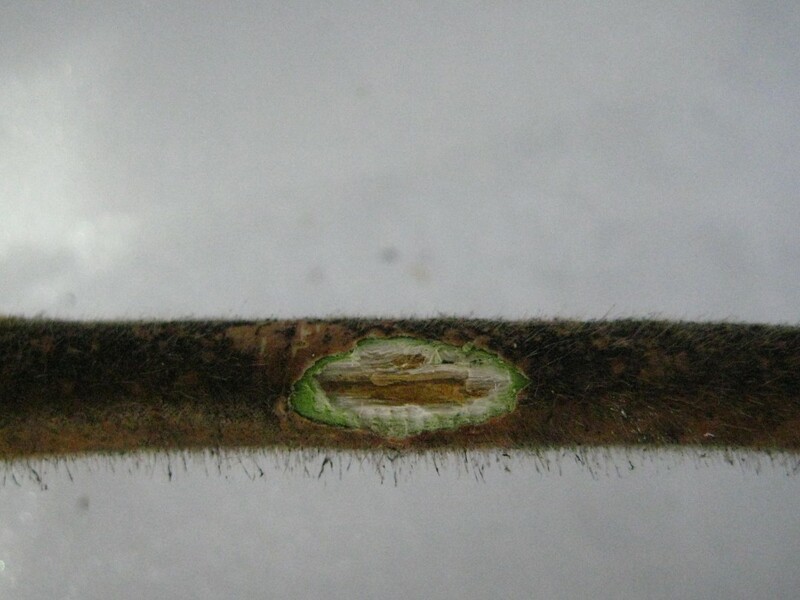 The rabbits get minimal nutrition from the rough outer bark and the hard inner wood, but the cambium is nutrient-dense–a life-saver in this bitter winter.